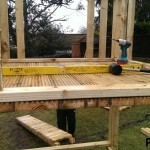 We offer a full installation service, Design, Supply and installation. If you would rather complete your own installation then we can send the playsets straight to you, they will arrive on a pallet and the driver might need help upon delivery. 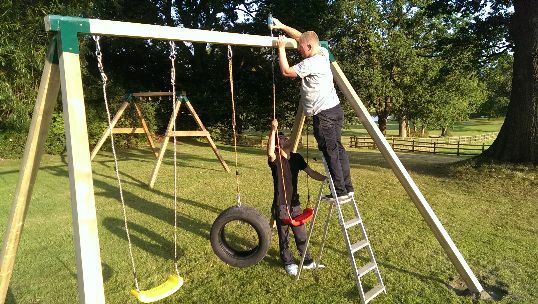 Not only do we offer a wide range of children’s climbing frames and bespoke wooden playsets to choose from, at Play Crazy we provide a full customer service from helping you to get the climbing frame you want right through to ensuring it is safely assembled and correctly installed. 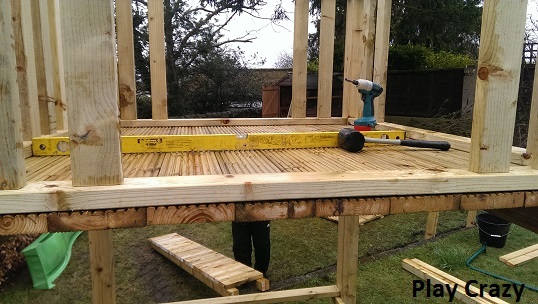 Our Play Crazy installation team have years of experience in constructing wooden playsets and can erect yours safely in your garden. Our team understand it is difficult to find the time to assemble a large play frame from scratch yourself and if you are not confident with DIY, we can offer a helping hand. Call now for a free quote or check out the store for the all in one supply and installation packages.